Sandalwood is a valuable tree which hordes beauty secrets. It has an unique place in Ayurveda. In India, sandalwood trees are mainly found in forests of Karnataka. Sandalwood has both beauty and medicinal values. Women, right from centuries ago, used sandalwood for healthy and glowing skin. Today, sandalwood powder is available in almost all ayurvedic shops. I list some beauty tips of sandalwood. 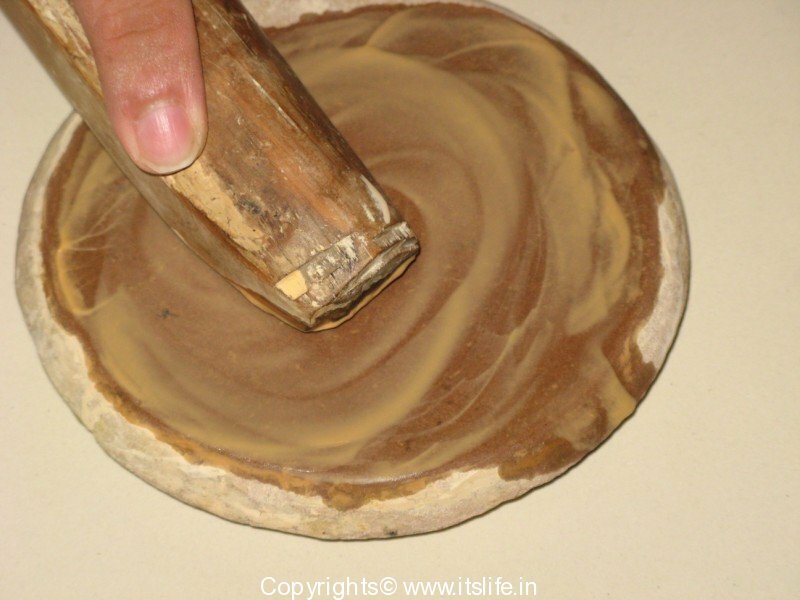 Mix 1 spoon of sandalwood powder with milk and apply it evenly to face and neck. Leave it for 15 minutes and wash with warm water. Application of this paste gives cooling effect within a few seconds. It tones up skin and moisturizes. Skin remains soft, soothed after washing. Regular application of this paste keeps the skin healthy and glowing forever. Mix 1 spoon of sandalwood powder along with 1 spoon of turmeric. Apply this paste neatly over pimple-prone area overnight. Pimples will be vanished without any marks in a short period. Mix 1 spoon of sandalwood with rose water. Spread it evenly to face and neck and leave it for 15 to 20 minutes. Application of this paste tones up skin giving cooling treatment to acne. Mix 1 spoon of sandalwood powder and 1 spoon of turmeric along with honey. Make thick paste of it and apply all over face. Leave it till the mask tightens and dries. Wash face with water once the mask dries. It refreshes skin and makes skin shine. Mix 1 spoon of sandalwood powder and 1 spoon of almond powder with milk. Application of this paste regularly gives fairer complexion. Make a fine paste of sandalwood powder with water or rose water and apply all over body, especially to sweat prone areas like under arms. This acts as an excellent deodorant for entire day. It also prevents sweating and works on prickly heat. Sandalwood oil is a sedative and it soothes the nerves. It provides relief from stress. It has a soothing effect on skin and membranes. Sandalwood paste applied on temples relieves headache and brings down temperature. Mix sandal wood and a little amount of camphor and make a paste. Apply this paste on the rashes. Redness and the itchiness will reduce and a soothing effect can be felt immediately. Make a sandalwood paste in some large quantity. Apply this paste alone on face, neck, hands, legs, chest and back. No matter how hot the weather is, your body will be very cool and relaxed. sandalwood used to make my face red, mayb it wasn’t a good quality. but that was long time back. didn’t try after that. Acne and I have terrible relationship from past 10 years…try sandalwood it will definitely reduce your acne but not a long term solution. I advise to drink a lot of water and go to dermatologist. Don’t wait till you try every product for acne.Some one’s cure is not a unviersal cure for acne. i like sandalwood a lotttt……..
when i was on a trip to bangalore i bought the sandalwood facial kit which included a gel,a white massage cream and a pack. this is my first facial kit and i truly adore it,it is it the best face pack. i use only homemade sandal pack which actually involves rubbing sandal wood on a rough surface to reduce to paste (used for poojas).i mix a little turmeric and safforn it it .Apply it and let it dry.It reduces redness of my acne and doesnt dry my skin .This has also reduced scars to some extent.Actually only pack i love a lot.Love sandalwood’s subtle smell. wer do you buy sandal wood from ..nikita? I use Sandalwood stick and make the paste from my own and apply it directly on the face and neck.Really a very nice remedy.Yes one needs to do lil hard work to screw d sandal on the rough surface however trust me its really makes the skin glowing and acne free. I just love it. I use it twice a week at night and when i wake up in the morning then i see that my hard work really paid off.It works like magic. please can you tell me, how can i buy sandalwood stick. Im living uk and want to buy it here or online.please let me know any one.